John Decas gets a familiar itch at cranberry harvest time, the tiny fruit being the state’s top agricultural commodity crop and what made Carver-based Decas Cranberry Products a giant in the business. He saw many changes in the industry over the years, most notably how berries are harvested. One top attraction is the Cranberry Harvest Celebration, held at A.D. Makepeace Co. on Tihonet Road in Wareham, running this year -- the 200th anniversary of cranberry growing in the state -- on Oct. 8 and 9. Decas, who stepped down as chief executive of his company in 2004 but served as chief operating officer until 2014, said weather is a big farming challenge, but with cranberries so is having too much product on hand. 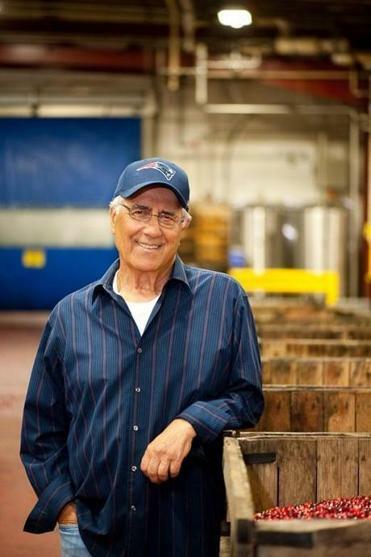 Years ago, he led the charge to use surplus to make dried sweetened cranberries, which is now a large part of the business through its Paradise Meadow brand. But this time of year, there’s nothing like a ripe cranberry, Decas said. He takes his raw.